Whether you're looking to create a privacy screen for your landscape, want to plant large trees to enhance the beauty and serenity of your garden, or want to increase your property value by planting trees that block street views and noise - we can help. We know what works in our regional climate and how to safely transplant and maintain trees for long-term health and enjoyment. View some of our past projects to see how a large-tree landscape can instantly create privacy, serenity, and value! 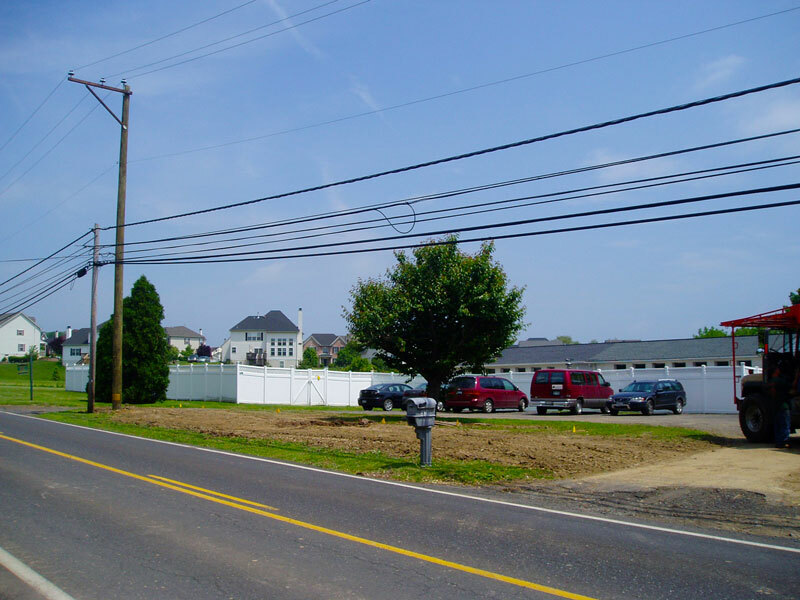 Located close to a busy road, our client needed a quick solution for reducing street noise. 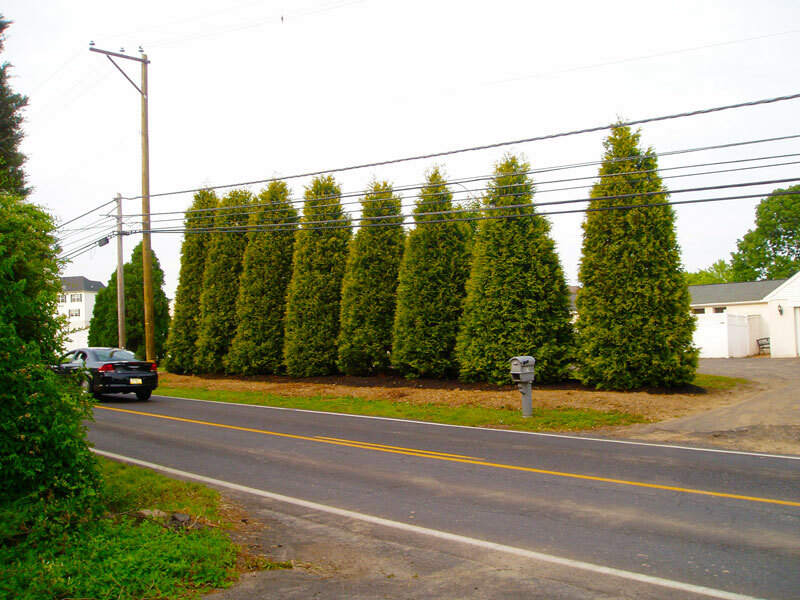 We selected mature, 20+ foot Elegantissima Arborvitae for this open and sunny location. With their dense foliage and hardy nature, these tall evergreens established a perfect privacy screen — reducing noise, creating privacy, and increasing property value — all in one day. 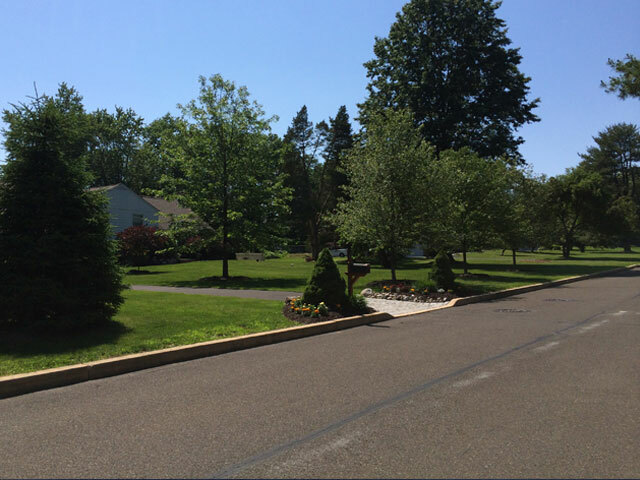 We lined this sloping driveway with 40, 25-foot Japanese Zelkova trees. 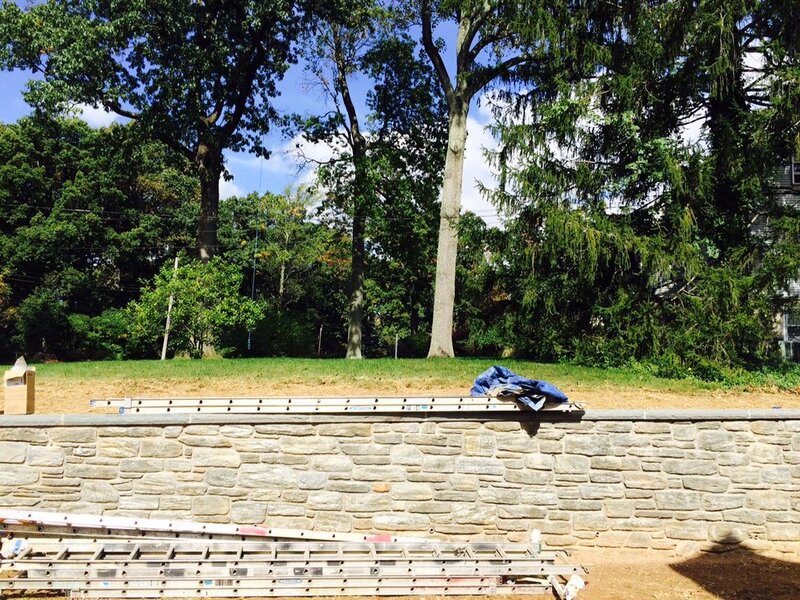 The Zelkova tree thrives in the Buck's County climate and is know for its upward-branching crown -- making it the perfect tree to line a driveway. Over the course of a week, our large tree installation turned this beautiful, contemporary home into a true, hilltop estate. 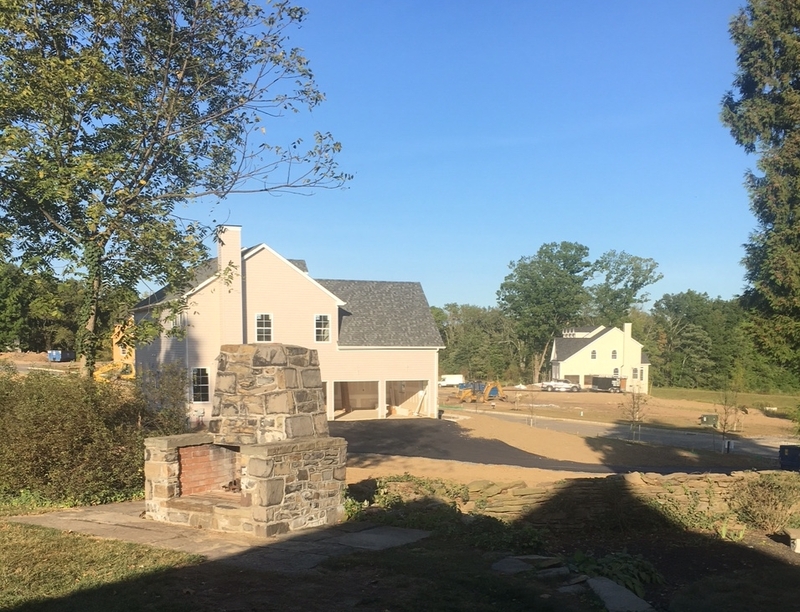 On this new-construction project our client wanted to create a buffer for a natural separation between houses. We planted a mixture of mature evergreens that we blended with the existing landscape to create instant privacy and immediately increase the value of the home. We helped our clients re-establish their perfect patio privacy after a new construction project ruined the view. We selected large evergreens, creating a quiet patio oasis perfect for spending beautiful summer nights. On this suburban front yard project, we worked with our client to select mid-sized evergreens and deciduous trees to beautify the overall setting, create shaded spots to lounge under during hot days, and to add beauty and value to the home. New construction impacted this backyard setting. We strategically clustered evergreens to frame the yard, creating a cozy corner for backyard grilling.